The pure flavor of cashews with not added oils or salt! 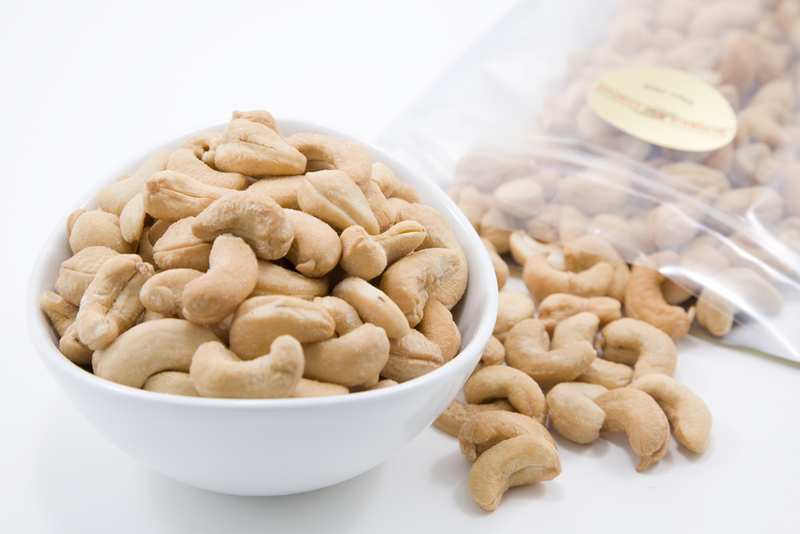 Our delicious dry roasted cashews are very hard to resist. Dry Roasted Cashews - Net WT. 1 Pound Bag. Allergen Information: Contains Cashews. This product is produced at a facility producing peanuts, tree nuts, soy, milk, egg and wheat products. May contain eggs, peanuts, tree nuts, soy, milk and wheat products. ProsGood price. One of the new brand that don't use oil in the roasting. ConsAbout the only way to eat about a quarter of the contents is with a spoon. These cashews were good tasting and arrived on time. I'm satisfied with this purchase. Dry roasted cashews are harder to find and glad to see you have them available. Nice treat for our family. ConsWould be a five if these were salted. Shipping costs compared to other online purchases I can make. Tasted like regular cashews not dry roasted and they were soft. Disappointed. I love them just wish I could get salted ones. I did not realize ALL they had were UNSALTED. They are still very good though. I send these to my mother, she can't have too much salt, she loves them. Cashews were so fresh, and I love that they are unsalted. I sent the dry roasted whole cashews as a gift and they were very well received. ProsWe like the option of having unsalted cashews. Good flavor. No problems with shipping - the cashews were nice and fresh.